How Is There Power In Christ’s Blood for you, today? We, as Christians, hear the term “the power of the blood” countless times in our Christian walk, but have we ever really stopped to think what it truly means? 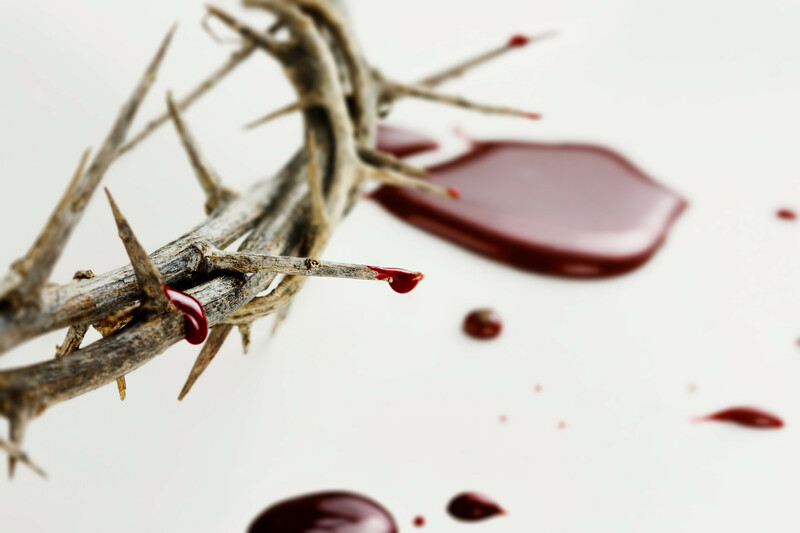 Sure, by His blood we are saved (Romans 5:9), but what does that really mean? Rather then it being a statement we ignorantly acknowledge because it sounds spiritual (which I have done as much as anybody), how can it be something that we literally live out? How can we apply the power of His perfect blood in everyday life? For starters, we need to know what the blood of Christ has actually done. Romans 5:11 (KJV): And not only [so], but we also joy in God through our Lord Jesus Christ, by whom we have now received the atonement. There are two words for atonement used in God’s Word. There is an Old Testament or Hebrew word, “kippur” (כִּפֻּר) from the root word, “kaphar” (כָּפַר), and means “to cover”. This word is used in the context of the Old Testament, when the blood of animals only covered sins for a period of time, and had to be done annually (Hebrews 10:1-4). In fact, In Hebrews 10:3 it states that these type of animal sacrifices were an annual reminder of sin. This was because sin was only covered for a period of time, then exposed through being reminded of once again during the next annual covering. 2 Corinthians 5:21 (NIV): God made him who had no sin to be sin for us, so that in him we might become the righteousness of God. Romans 4:6-8 (NIV) just as David also speaks of the blessing on the man to whom God credits righteousness apart from works: (7) “Blessed are those whose lawless deeds have been forgiven, and whose sins have been covered. (8) Blessed is the man whose sin the LORD will not take into account. You might be thinking, “Well it says you have to be blessed?” You have been blessed! You have already been blessed with every spiritual blessing (Ephesians 1:3)! This includes God not remembering your sins or holding them against you (taking them into account, or imputing them onto you) because to Him, they do not exist. That is grace, my friend. When it comes to our sin, we must remember that it is only Christ’s blood that has the power to cleanse us of a guilty conscience (Hebrews 9:14, 10:19-22). Self-condemnation will not pay the price for sin nor will the belief that God holds sins against you set you free. A guilty conscience stems from attempting to be righteous in your own works as opposed to receiving righteousness, by faith, through the finished works of Jesus (Romans 3:22). A guilty conscious keeps you a slave to sin (Romans 6:20-22) by reminding you of your sin, or that your a sinner. You are NOT a sinner saved by grace. You WERE a sinner saved by grace, curicified and resurrected with Christ, made a new creation that is blameless and without fault, that is without blemish and FREE from accusation (Colossians 1:22). And this my friend, is the power of Christ’s blood. Colossians 2:13-15 (KJV): And you, being dead in your sins and the uncircumcision of your flesh, hath he quickened together with him, having forgiven you all trespasses; (14) Blotting out the handwriting of ordinances that was against us, which was contrary to us, and took it out of the way, nailing it to his cross; (15) And having spoiled principalities and powers, he made a shew of them openly, triumphing over them in it. The “hand writing of ordinances” is referring to the 10 Commandments, or the Law, written by the finger of God (Exodus 31:18), and has been nailed to the cross with Christ making it obsolete (Hebrews 8:13). This is where the power of the blood of Christ comes in. Satan uses the Law or your sin to accuse you and condemn you, to give you a guilty conscience or make you feel that you are not worthy to be loved by God or to receive His love. He will accuse you and make you feel like you are not worthy to be in His presence or to seek Him. Nothing is further from the truth. It is precisely in these times that God desires you to use His grace to enter into His presence and claim victory over the bondages in your life. And He does this through the power of the blood of Jesus. Christ’s blood answers for every accusation the kingdom of darkness accuses you with. This is why His blood literally cleanses our conscience (Hebrews 9:14), because the blood of Christ answers for everything we have done and will do. Whenever you feel condemned or guilty, identify it as a lie from the Accuser and remember that you are the righteousness of God through Christ by the power of His Blood; that He sees you spotless, blameless, and without blemish!